Alsco products are extremely effective for degreasing and oil removal from all your automotive parts. At the same time, they are safe to use and they don’t harm your employees’ health. Our Ecosafe Washer is not a solvent but an aqueous based parts washer so the cleaning process doesn’t cause dangerous vapours and doesn’t burn the skin with even the slightest touch. Alsco Ecosafe Washer is the safest alternative for your traditional part washers you’ll find in New Zealand. 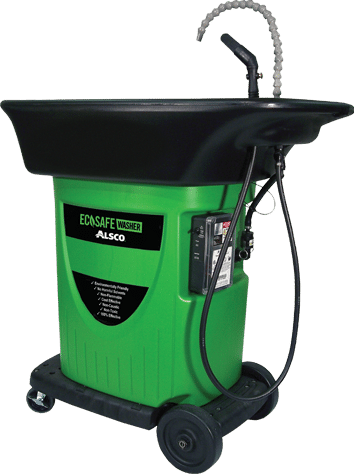 Learn why dozens of New Zealand garages, automotive workshops and experienced mechanics opt for Alsco Ecosafe Washers. While it perfectly cleans, just as well as systems that use aggressive chemicals, it also protects the environment. This is the ideal harmony of cleaning efficacy and workplace safety. Ecosafe Washer is also compact and easy to handle, so you can clean even those parts that are usually out of your reach. The Ecosafe Washer is an automotive parts cleaning solution. The system employs a natural process called bioremediation to reduce the use of harmful chemicals. Ecosafe Washer combines three essential components: the Ecosafe Washer, the parts washer, with a powerful water-based degreasing fluid called OzzyJuice, with a microbe-impregnated particulate trap called OzzyMat. 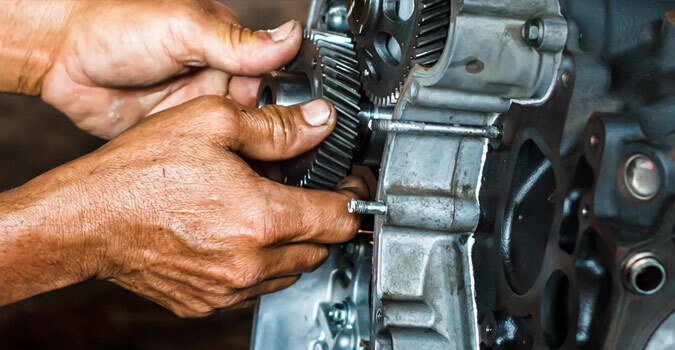 There are many factors that make the mechanics’ workplace dangerous and difficult to work in: high temperatures, dangerous chemicals, limited spaces for maneuvering and many other. To reduce these factors and boost employee safety, make sure they use Ecosafe Washer to minimise exposure to dangerous chemicals. Alsco’s managed rental service is designed to give you a peace of mind, with no upfront costs or capital investments. Your costs include only one, agreed flat rate fee. We’ll visit regularly and ensure that the Ecosafe Washer is working perfectly for you, all the time. You won’t be required to undertake any servicing or maintenance of the machine.